Exclusive multi-stage rust prevention process. 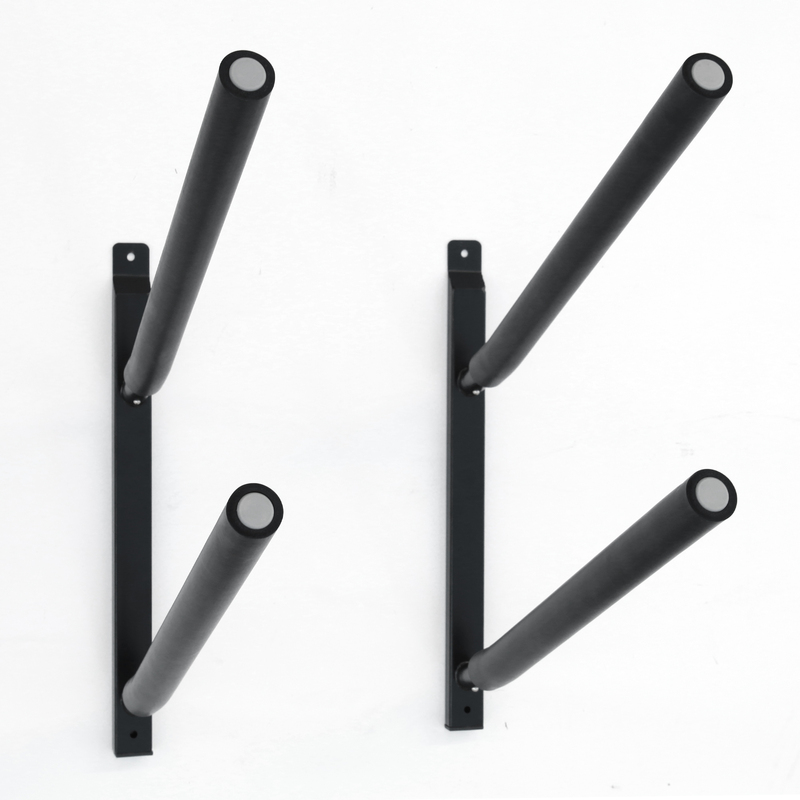 Wall mount with 60 lbs capacity for each set with added cradle to protect your boards. Maximum weight capacity for the entire set is 150 Lbs. Curved tube end for easy on/off board glide. 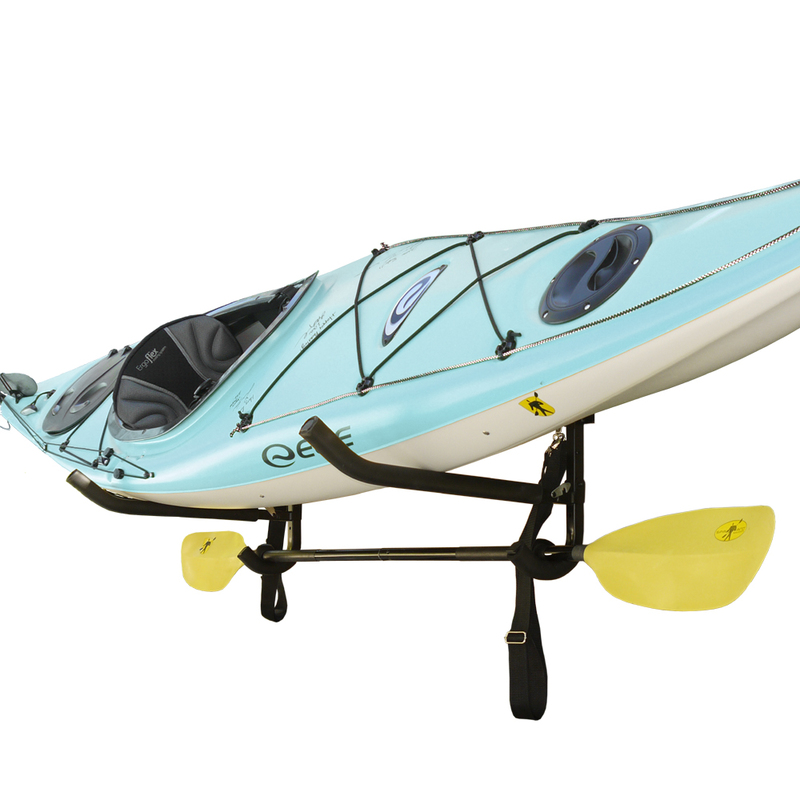 The Glacik Wall Mount G-006 3-Tier +1 Board Storage Rack with Paddle Storage can stores 3 boards and is an excellent solution for storing your paddleboard, SUP, surfboard and paddles. Perfect for both on and off season, each tier can store up to 60 pounds each. Bottom short tier used as paddle holder or accessories holder. Maximum total weight capacity for the entire set is 150 lbs. 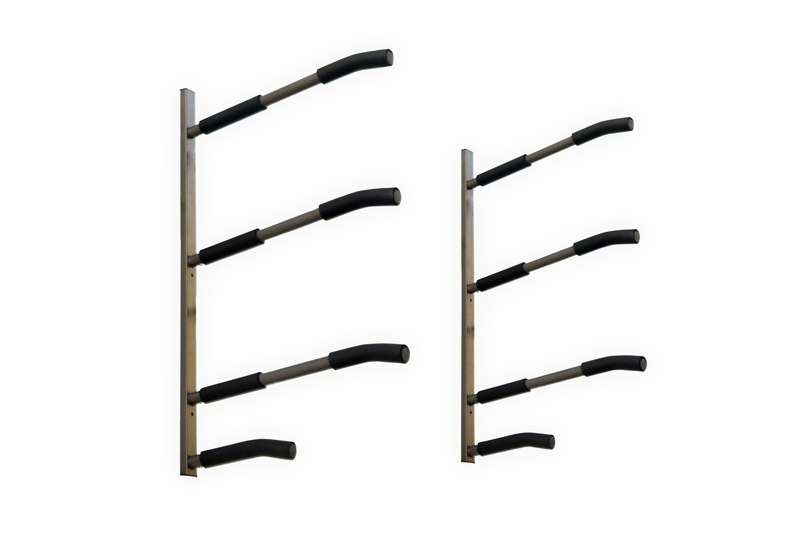 This storage rack is powder coated with a durable rust prevention coating so it can be installed either indoors or outdoors. Each tier has padded bars to protect your boards from any dings or scratches. 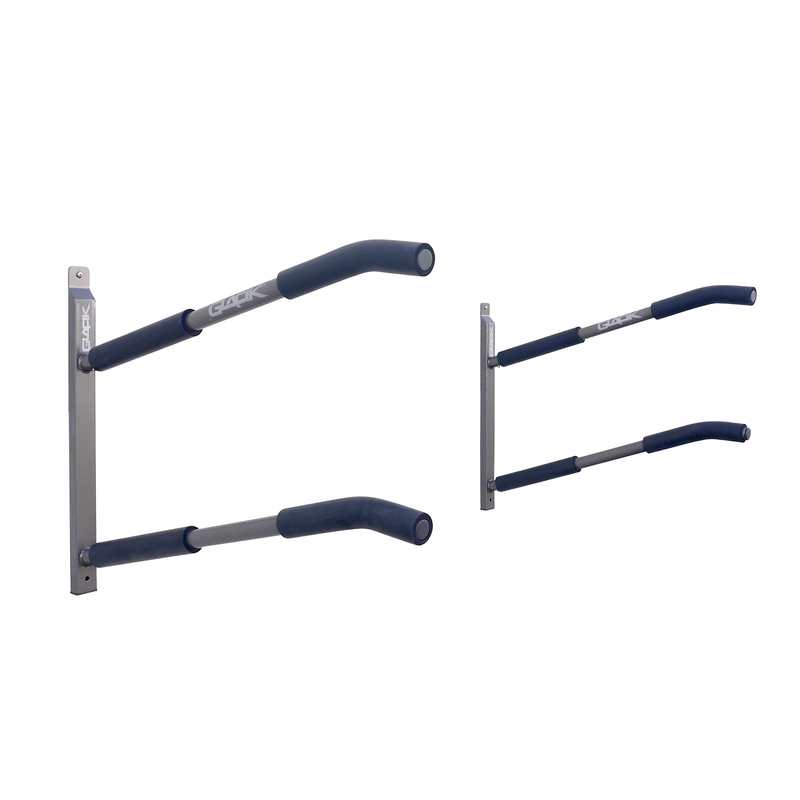 The padded horizontal bars extend 21 inches from the wall and will accommodate different sized boards up to 35 inches in width. 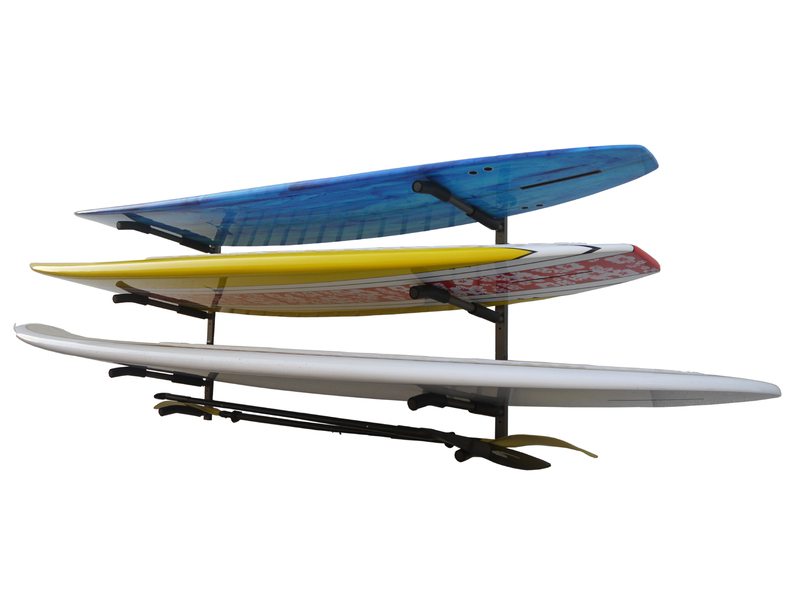 This rack is the perfect solution for storing your boards and paddles.